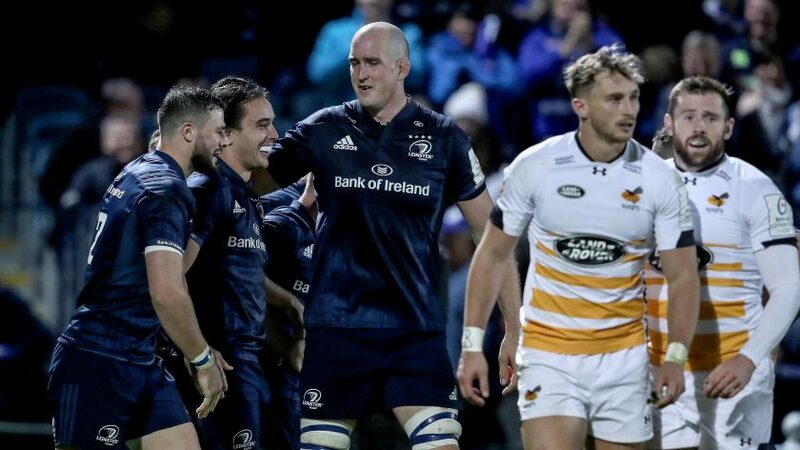 Leinster Rugby lock Devin Toner and centre Robbie Henshaw return from injury this weekend as the Irish province ramp up their preparations for the Heineken Champions Cup semi-final against Toulouse on April 21. The duo have been handed places in the Leinster XV for their Guinness PRO14 match against Heineken Champions Cup quarter-finalists Glasgow Warriors on Saturday, after suffering injuries in Ireland’s Six Nations defeat to England in February. Both Toner and Henshaw started in Leinster’s 2018 Champions Cup final victory against Racing 92 in Bilbao and will be hoping to work their way back into Leo Cullen’s matchday 23 for the last–four clash against Toulouse at Dublin’s Aviva Stadium. Elsewhere, fly-half Ross Byrne keeps his place in the Leinster starting XV after a stunning display in their 21-18 quarter-final win over Ulster Rugby at the Aviva, scoring 16 points, including a crucial 71st minute penalty. 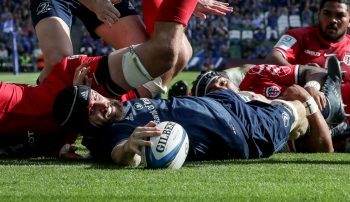 Fellow outside-half Johnny Sexton is missing due to a quadricep injury, but full-back Rob Kearney, scrum-half Jamison GIbson-Park and flanker Seán O’Brien all start. Meanwhile, Toulouse coach Régis Sonnes admitted on Friday that the French club can’t get the semi-final out of their heads – even though it is nine days away and they host ASM Clermont Auvergne in a TOP 14 battle between first and second on Sunday. Sonnes, who coached Irish amateur side Bandon between 2016 and 2018, believes Clermont will provide the perfect warm-up for the Leinster game. “We are already preparing at a high level,” he explained. “We are managing our future schedule with short, intense, high-tech training sessions. 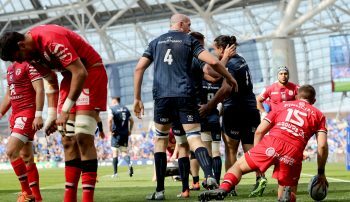 You can watch Leinster Rugby v Toulouse on April 21 via free-to-air coverage on Channel 4 and Virgin Media, as well as on BT Sport, beIN SPORTS and FR2. The match kicks off at 15:15 BST.